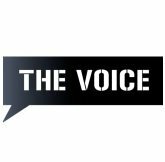 Music TV Channel / The Voice TV Bulgaria is a Bulgarian music channel. It currently airs music videos during most of the day, but it is probable that it will start producing more local shows in the future. The channel was formerly known as Veselina TV (named after Radio Veselina). In 2006, the Luxembourg-based SBS Broadcasting Group acquired Radio Veselina, and in October 2006, Veselina TV was rebranded as The Voice TV, after the music channels in the Nordic countries. On November 10, 2011 ProSiebenSat.1 Group sells all Bulgarian radio stations and the music channel the Voice TV to A.E. Best Success Services Bulgaria EOOD.